There're many uses of apple cider vinegar and gallstone is one of the conditions that can be relieved by it. Learn what to do and other effective ways to help. The gall bladder is the small, sac-shaped organ that lies under the liver where bile is stored between its secretion from the liver and its release into the intestine. Stones can form in it from deposits of pigments and cholesterol in the bile. Changes in the diet can help relieve gallstones. Everyone knows the old saying, "An apple a day keeps the doctor away." It's true on many levels. 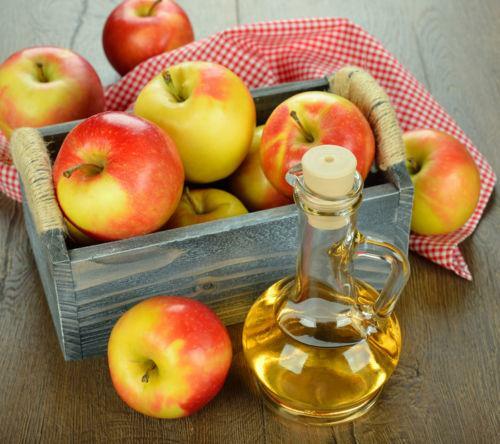 So can apple cider vinegar help relieve gallstone? Can I Take Apple Cider Vinegar for Gallstones? Yes, you can. Apple cider vinegar may help soften or dissolve the gallstones, though this hasn't been proven scientifically. Apple cider vinegar is also rich in potassium, acetic and malic acids, and calcium. When you take apple juice or apple cider vinegar, gallstones can be softened by the malic acid in it. Apple cider vinegar also prevents the liver from producing cholesterol that contributes to forming gallstones. Apple also halts the recurrence of gallstone formation, and subdues the pain that gallstone flare-ups cause. Mix one tablespoon of apple cider vinegar into one glass of apple juice. Drink once a day to get relief from gallstone pain. Mix apple cider vingar, lemon juice and warm water. Stir and drink the mixture on empty stomach in the morning. 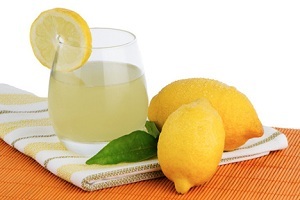 Lemon juice halts cholesterol production in the liver. The pectin is believed to relieve gallstone pain, and the vitamin C hastens waste elimination by making cholesterol more water-soluble. First thing every morning before eating, drink the freshly-squeezed juice from four lemons followed by a glass of water. Or mix four tablespoons of lemon juice in a glass of warm water and drink on an empty stomach until gallstones are gone. But the acidity of lemon can do harm to your teeth, so use a straw to sip the juice. Peppermint helps digestion by triggering the flow of digestive juices and bile. Terpene, a component of peppermint, may dissolve gallstones. It is thought to aid in spasm relaxation and gall bladder pain relief. 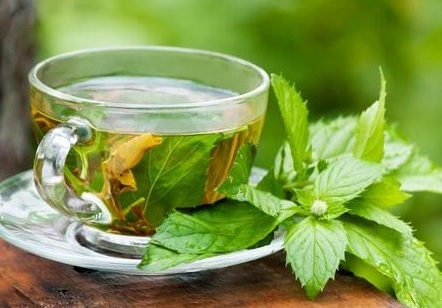 To make peppermint tea, boil a cup of water and add a teaspoon of dried peppermint leaves. Remove from heat and steep covered for five minutes. Strain and sweeten with a teaspoon of honey. For better results, you can drink between meals twice daily for four to six weeks. When you have gallstones, you must cut back on fatty and fried foods. 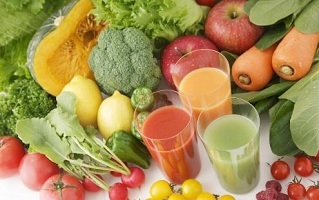 For a couple of weeks, limit your diet to mainly fruit and vegetable juices. In addition to apple juice and apple cider vinegar, gallstones can be softened by many other fruits and veggies. Beets aid in liver cleansing and strengthen the gallbladder. Cucumber has a high water content that detoxes the gallbladder and liver. Carrots contain many nutrients and vitamin C that boosts the immune system. Juice one beet, four medium carrots, and one cucumber and drink twice a day. 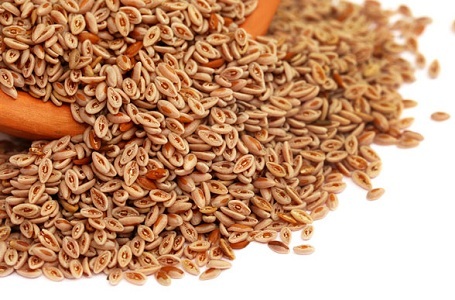 Psyllium, known mostly for its laxative properties and soluble fiber, also can help in removing gallstones. Psyllium's fiber binds the cholesterol in the bile, preventing the stones from forming. Because it facilitates normal bowel movements, the risk of gallbladder congestion is reduced. Twice a day, drink a glass of water into which one tablespoon of psyllium powder has been stirred. While taking psyllium, drink plenty of water throughout the day. 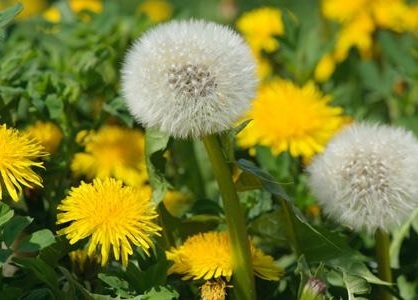 Dandelion contains taraxacin, a compound that helps excrete bile from the liver, aiding in detoxification, and metabolizing fat that's accumulated in the liver. A properly functioning liver contributes to a healthy gallbladder. Steep one teaspoon of dried dandelion root in a cup of hot water for five minutes. Strain and sweeten with honey. Use dandelion tea two or three times a day for a couple of weeks. However, diabetics should avoid dandelion. Milk thistle contains silymarin, a bitter substance that encourages bile production. An increase in bile promotes bile elimination, which in turn, flushes out gallstones. Milk thistle also helps liver function. 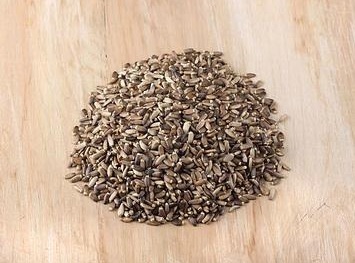 Crush one tablespoon of milk thistle seeds, place in three cups of water, and bring to a boil. Remove from heat and steep for twenty minutes. Strain and sweeten with honey. Drink two or three times each day for a week. 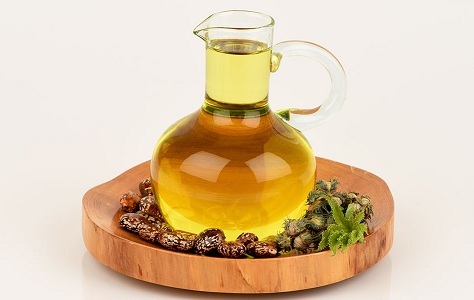 Grandma knew that castor oil has a number of medicinal properties, one of which is to minimize gallstones. Place a cup of pure cold-pressed castor oil in a pan to warm over low heat. Dip cheesecloth in the oil. Lay the cloth over the gallbladder, located on the right side of your stomach. Cover with a piece of plastic wrap, then top with a hot water bottle. Leave it on for thirty minutes to an hour, and repeat three times a week until relief comes. Apart from apple cider vinegar, gallstones can also be relieved by pears. Pear pectin aids in softening gallstones, which are then easily flushed out. 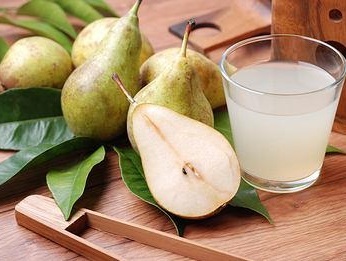 You can mix half a glass of hot water with half a glass of pear juice and add two tablespoons of honey. Drink the mixture thrice daily for two weeks. Or, peel and core several pears, cut up and cook in a little water for twenty minutes. Eat the cooked pears twice a day for a couple of weeks. Drink eight to ten glasses of water daily. Eat small meals several times a day rather than two or three large meals. Eat citrus daily for vitamin C, or take a good vitamin C supplement. Coffee may increase bile flow, preventing gallstones. But drink sparingly–one or two cups at the most each day, preferably decaffeinated. Call your physician immediately if you experience continuous, moderate to severe pain in the upper right midsection or abdomen accompanied by a 100.4ºF fever and chills. Other symptoms that require medical attention include dark yellowish urine, clay-colored stools, yellowing of the skin and the whites of the eyes. What Are the Benefits of Soaking Almonds? Brown Sugar and White Sugar: Which One Is Better?